Does buying an S&P 500 fund count as stock picking, given that there’s a committee of people choosing which stocks are included in the index? Does overweighting U.S. stocks (or value stocks, or REITs, or whatever) count as active investing? Does rebalancing count as market timing? Does basing my spending rate in retirement on market valuations (and/or interest rates) count as market timing? Does Social Security count as a bond? Typically, the person is asking the question because they’ve latched on to a sound bite-style piece of investing wisdom (e.g., stock picking is bad, market timing is bad, passive investing is better than active investing, your bond allocation should be equal to your age, etc.) and they’re trying to figure out how to apply it. 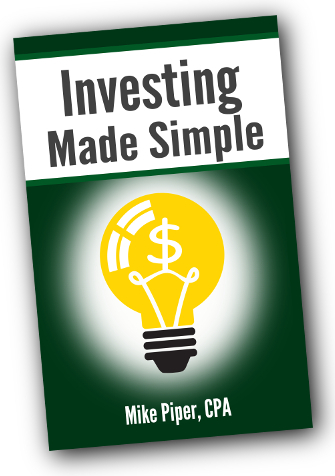 Sound bites are helpful when you’re first getting started investing, because they allow you to put a decent plan into place without being completely overwhelmed with information. But as you might imagine, they tend to be oversimplifications. And, eventually, rather than trying to base every decision on such simplified advice, you’re better off taking the time to understand the reasoning behind the sound bite, so you can make critical decisions on your own. There’s quite a bit of research showing that it’s unlikely that you’ll consistently pick above-average stocks anyway. Once you understand that, you don’t have to ask whether something counts as stock picking. You can simply determine for yourself whether the activity in question has the same drawbacks — because, ultimately, that’s what you really care about. Is there any reason to think that the stocks included in the index (and therefore the fund) are in some way systematically chosen to be poor performers? In summary, when it comes to investing, when you find yourself asking, “Does _____ count as _____?” there’s a good chance you’re asking the wrong question. 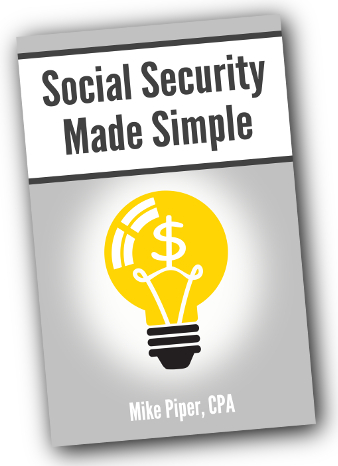 The following three statements about Social Security are common, but incorrect. (Or rather, each is partially correct, but the part that’s incorrect is super important.) Can you spot the errors? If you are married, it’s a good idea to delay taking Social Security. Social Security is actuarially neutral (meaning that claiming at one age is as good as another, given that you’re likely to get the same overall amount). In each case, the error is the same: It addresses the when-to-claim question by looking at the wrong life expectancy in some cases. When the spouse with the higher “primary insurance amount” delays taking retirement benefits, it increases the amount the couple will receive per month as long as either spouse is still alive (because if the high-PIA spouse dies first, the low-PIA spouse can claim a widow/widower benefit, which will be increased as a result of the high-PIA spouse having waited). As a result, it’s true that it’s typically advantageous for the high-PIA spouse to delay taking benefits. However, for this very same reason (that is, the availability of widow/widower benefits) it is typically less advantageous for the low-PIA spouse in a married couple to delay than for an unmarried person to delay. When the low-PIA spouse delays, it only increases the amount the couple will receive per month as long as both spouses are still alive. While the above statement is typically true for unmarried people, it’s often wrong for married people. For married people, each person must consider both life expectancies. If one spouse has a very short life expectancy, that is a reason for the low-PIA spouse to claim early (because the couple’s first-to-die life expectancy isn’t for very long). But it is not necessarily a reason for the spouse with the short life expectancy to claim early. And conversely, if one spouse has a very long life expectancy, that is a reason for the high-PIA spouse to wait to claim (because the couple’s second-to-die life expectancy is quite long). But it is not necessarily a reason for the spouse with the long life expectancy to wait. Social Security is designed to be approximately actuarially neutral for unmarried people. * That is, if they claim early, the lower monthly benefit they receive should be, on average, approximately offset by the fact that they’ll receive benefits for a greater number of months. However, if delaying retirement benefits is actuarially neutral for an unmarried person (i.e., on average, it will neither help nor hurt them), then, for the reasons discussed above, delaying must be better than neutral for the high-PIA spouse in most married couples and worse than neutral for the low-PIA spouse in most married couples. For the low-PIA spouse in a married couple, the decision should be based on the couple’s first-to-die life expectancy. *But even for a specific unmarried person, Social Security still tends not to be actuarially neutral. That is, most single people have a reason to expect that claiming early or late will be advantageous. For example, you may have a longer (or shorter) than average life expectancy, or inflation-adjusted interest rates may be higher or lower than those baked into the Social Security benefit calculations. Why Is Currency Risk Bad? As a bit of background information: “Currency risk” refers to the volatility that foreign investments (such as international stock funds) experience as a result of fluctuating exchange rates. For example, your international holdings will decline in value if the dollar increases in value relative to the currencies in which your foreign holdings are denominated. Currency risk is often cited as a reason for underweighting international stocks and bonds relative to the part of the overall world market that they make up. This reader is correct that currency risk should, on average, neither increase nor decrease your returns. And that’s precisely why it’s an undesirable risk. After all, there are an assortment of risks that do increase the expected return of your portfolio: increasing your equity allocation, increasing the duration of your bond holdings, reducing the average credit rating of your bond holdings, etc. To be clear, the point here isn’t that including an international allocation is a bad idea. It isn’t. Most experts agree that including international stocks in your portfolio is still desirable, because it increases the total number of stocks that you hold, which improves diversification, and because it adds a component that has less-than-perfect correlation to U.S. stocks while still having similar expected returns. The point is simply that it likely makes sense to hold a smaller allocation to international stocks (and bonds) than you would if currency risk did not exist. Investing Blog Roundup: Advice/Tips for Writers? So, for those of you with experience writing, I’d be interested to hear what tips, advice, or resources you have to share. I’ve enabled comments on this post, so please feel free to click over to the blog and share your thoughts! 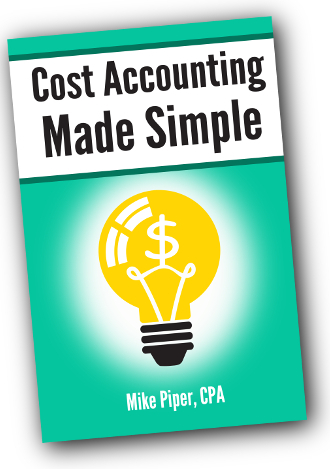 Do I Need a CFP, a CPA, or Both? Let’s tackle the question of certifications first, since it’s relevant for anybody seeking an advisor, then we’ll move on to whether it makes sense to use a single person for all of the services desired. Which Certification is More Relevant? Business Environment (a catch-all category for other business topics such as economics, operations, finance, and information systems). Professional Conduct and Fiduciary Responsibility. As you can see, the CFP exam is definitely tailored more precisely to personal finance than the CPA exam is. However, there are two important caveats to note here. First, there’s an additional, lesser-known credential that some CPAs go on to earn: Personal Financial Specialist (PFS). The PFS curriculum is very similar to the CFP curriculum, as are the topics covered on the exam. Second, it would be rare to find any professional who is truly an expert in each of the topics covered by the exam for their certification. As you might expect, a professional’s expertise is going to depend much more on what field they work in than on what certification(s) they have. To use myself as an example, despite being a CPA, I know next to nothing about auditing, because I have never worked in that field and because my exam on the topic was approximately 4 years ago, meaning I’m well on my way to forgetting what little I once did know. In summary, if you’re looking for a very comprehensive financial planner/professional, a CFP or somebody with the CPA and PFS certifications is likely to be your best bet. However, a person’s expertise will depend at least as much on their experience as on their certifications. Is One Professional Really a Good Idea? Alternatively, you may not even need to pay a professional, per se, for portfolio management. Developments in the last few years — specifically, the rise of all-in-one funds and so-called “robo-advisors” — have made it clear that portfolio management is a commodity service, the cost of which is rapidly declining (and even approaching zero).